August is just around the corner! 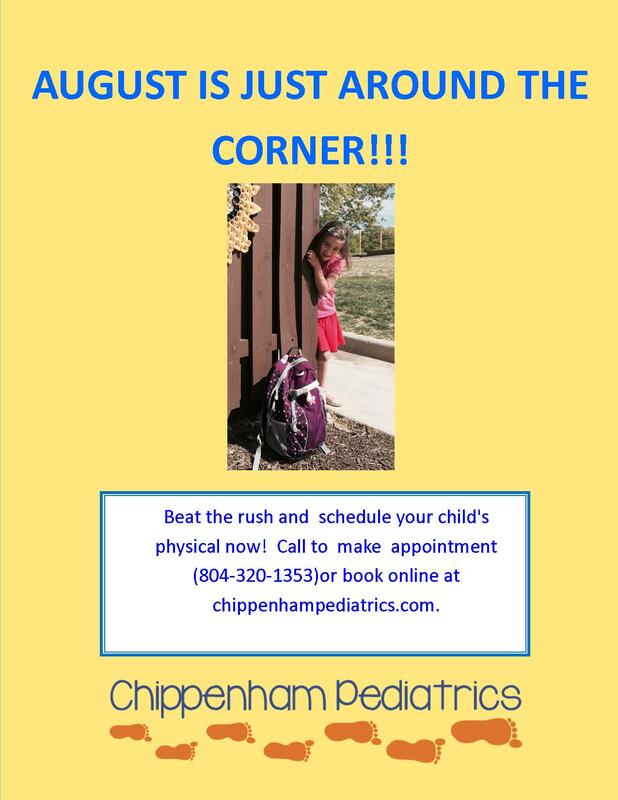 Beat the rush and schedule your child’s physical today! You can schedule an appointment by calling 804-320-1353 option 2 or book online via our secure patient portal!